In our previous post we provided a brief explanation of what chat bots are and why there is such excitement about them. 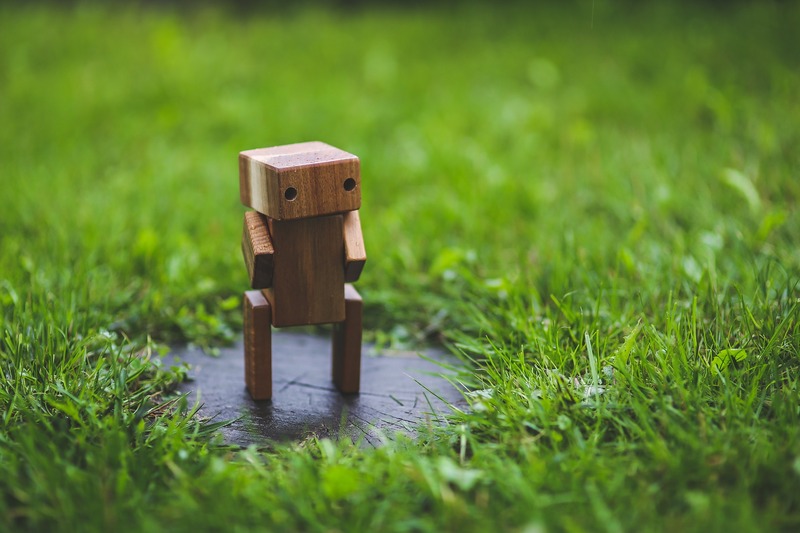 While chat bots are exciting, before you run out to get a bot for your business, it’s worthwhile to note a few of the challenges. Bots that enable customers to complete simple tasks through automated rule based flows. For example, an SMS chat where you can type “balance” to receive your current bank balance. Unless you word your request abnormally, the bot will usually understand what you want and pull your bank balance for you based on specific predefined keywords. These type of bots aren’t designed to hold a real conversation with a human. Chat bots that use artificial intelligence (AI) and natural language processing (NLP) to understand and respond to customers even if the specific language the customer is using has not been pre-programmed into the bot. Chat bots that use AI can learn over time and get better at understanding customers. Automated conversation interfaces have actually been around for many years. Most of them use limited artificial intelligence and some just use simple rules. However, until now, most automated conversations haven’t been very good. Everyone reading this has probably had an awkward conversation with an automated chat agent who did not understand them. The renewed promise of chat bots is that artificial intelligence capabilities and access to powerful computing resources have gotten much better and cheaper. When artificial intelligence can beat a human at one of the world’s most complicated games (based on strategy and intuition, and nearly impossible to breakdown into a computable amount of potential outcomes), there is reason to be optimistic about the advancement of AI bots. Data – To tap into their learning capabilities, chat bots need data. For most use cases, there currently isn’t enough data to train on. Businesses and platforms like OwnerListens, need to facilitate collecting data from which chat bots can learn. What kind of data? Data from customers – What are customers asking? How are they wording their questions? What type of language, syntax, grammar and other linguistic attributes are they using? Does the way they ask differ across time, geography, industry, demographic? Note that even when businesses have past data from customer communications, that data is typically not reflective of how those same customers would engage via messaging. The way people write emails, talk on the phone, and even engage in live chat via desktop is vastly different from the way they use instant messaging. Data from answers – What are the answers to the questions customers ask? What is the clearest way to communicate those answers? Are these answers static or do they change? If the latter, does it occur in a predictable way that can be learned? (For example, the answer to “What is the date?” changes but in a predictable way. The answer to “Is the line long right now?” changes in a way that is not always predictable). Data from internal systems – To provide accurate answers, bots need to access existing internal knowledge and pull data from them. Integrating bots into internal systems can be challenging as many of those systems are built with outdated technologies. Data from external sources – The more data bots have, the more accurate their answers. If they know your name, age, and location, bots can provide better answers. Much of this data is available online in various places, from Facebook to Google. Some of it is even publicly available. Though bots will still need to be programmed to access and use this data. Privacy and security – With access to a lot of data, come questions related to privacy and information security. There are existing privacy regulations that would apply to chat bots as they concern the commercial use of data. In some jurisdictions, there are also specific regulations related to texting. However, new questions are sure to arise given the sheer scope and reach of data that chat bots will need (and subsequently) have access to. To keep their employees and customers safe, companies will also need to come up with guidelines and policies in addition to any regulatory interventions. Customer comfort – Presumably, customers will love chat bots. Faster service, accurate answers, no need to worry about the other side hearing you, understanding your accent – so many advantages. However, some customers find communicating with a chat bot uncomfortable. Others think it’s impersonal and it makes them feel unimportant to the business. Then there are customers who have ideological objections to machines taking away human jobs. But the most challenging part of customer adoption is, in our opinion, the “creepiness” factor. When customers realize how much information the chat bot actually “knows” about them they can get spooked. Human agents might have access to this information as well but it is less overt that they are using it and an agent who accesses your information usually forgets anything s/he saw shortly thereafter. The recent launch of Bots for Messenger by Facebook raised another question related to customer comfort. Until platforms like WeChat, Messenger, Kik, and Telegram opened up to chat bots, companies would generally have them operating in the background. Customers would reach out for support to a specific company and a chat bot would respond. What these platforms are hoping will happen now is that customers will proactively try to get tasks done using chat bots not directly related a specific company. For example, In searching for a pair of sneakers, customers don’t have to use Nike’s chat bot, they can select from any number of available chat bots, some from specific brands and others that may work across multiple options. Will customers adopt to this new behavior? Facebook, WeChat and others are betting they will. Handoffs – Even if and when chat bots can have a perfect conversation with customers, at the end of some interactions, another action will need to occur. If the action can occur in the virtual world, such as registering a hotel reservation, chat bots can learn to do that. But, if a an action in the real world is needed, a human might have to step in. For example, a hotel guest might be able to place a complete room service order through a conversation with a bot, including very specific dietary instructions and appending the bill to the room tally. However, someone, a human, will still need to prepare the food and bring it up. (Well, at least until robots replace cooks and waiters…)These types of handoffs to humans need to be mapped out, employees need to be trained, and in some cases physical spaces need to be reconfigured. These are the kind of deployments OwnerListens does for its customers. From our experience, they’re worth it but they do take time and organizational commitment. What’s Next for Chat Bots?